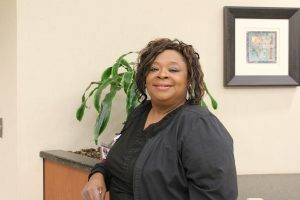 Today we’re getting to know Michelle Dennis, RN, a little bit better! Why do you love your job? I love caring for people and educating at the bedside to assure patients are receiving excellent care. What is your favorite Thanksgiving tradition? Hanging out and being with family and friends and eating good food we don’t eat everyday. Where would we find you the day after Thanksgiving – Black Friday shopping or watching football? Watching Ohio State beat Michigan!! Lol! What is your favorite Thanksgiving dish? Turkey, dressing, and apple pie. What do you like to do when you aren’t working? Shopping or doing lavender foot soaks while watching The Young and the Restless and my other favorite shows.